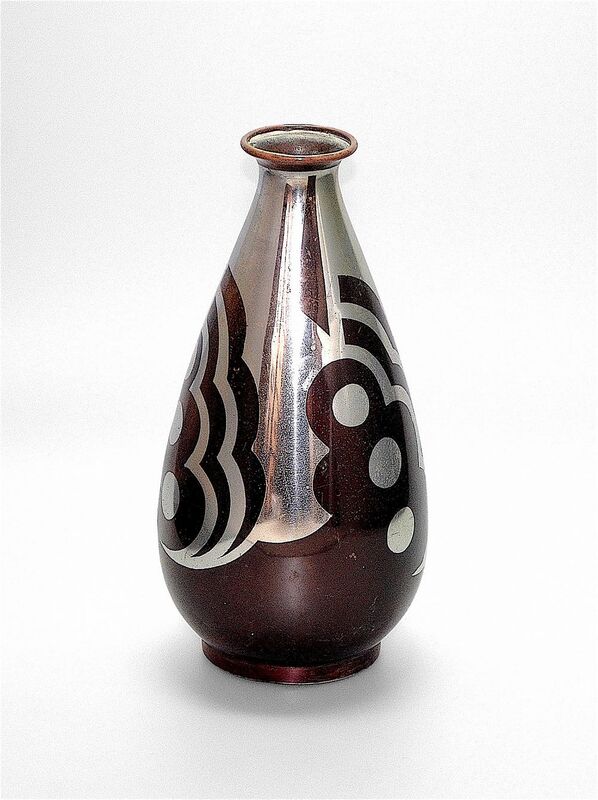 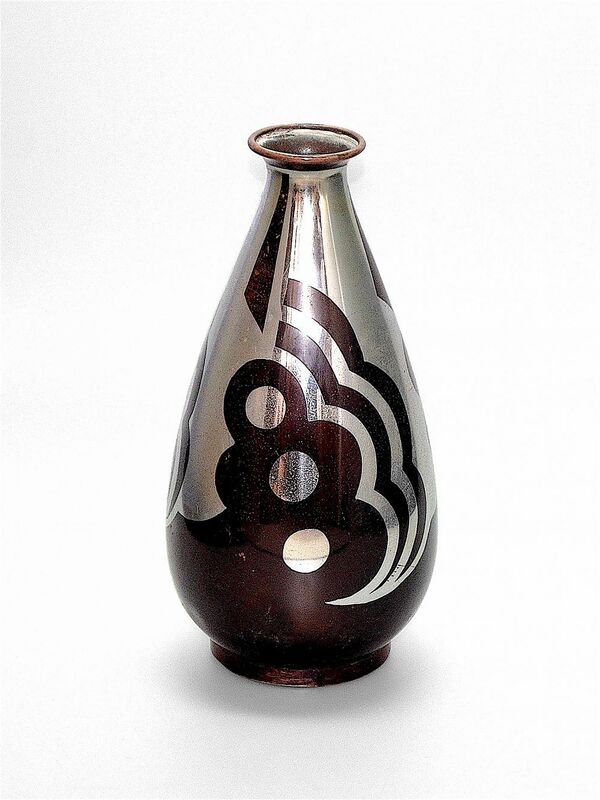 We have had a number of pieces by Lucien Gerfaux and this is a very attractive vase. 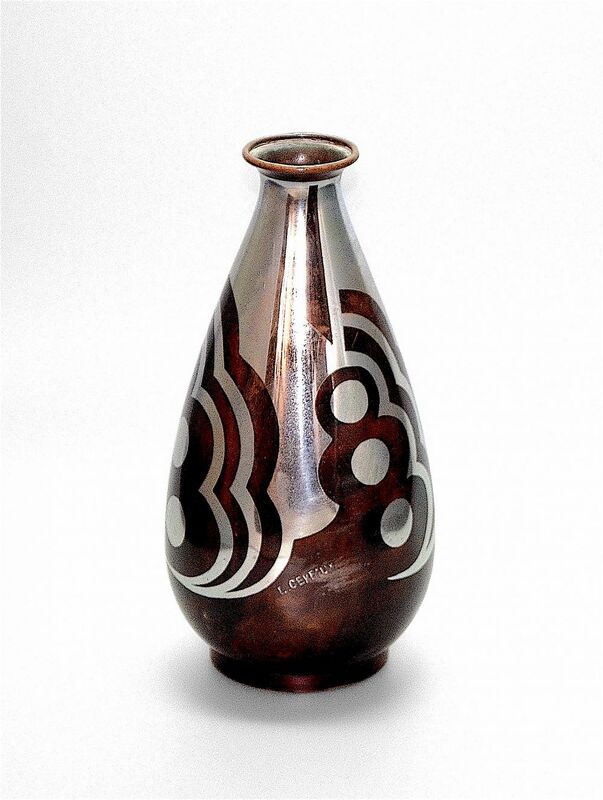 The metal ware (either brass or copper) has a mottled brown patina with inlaid silver metal in geometric patterns. 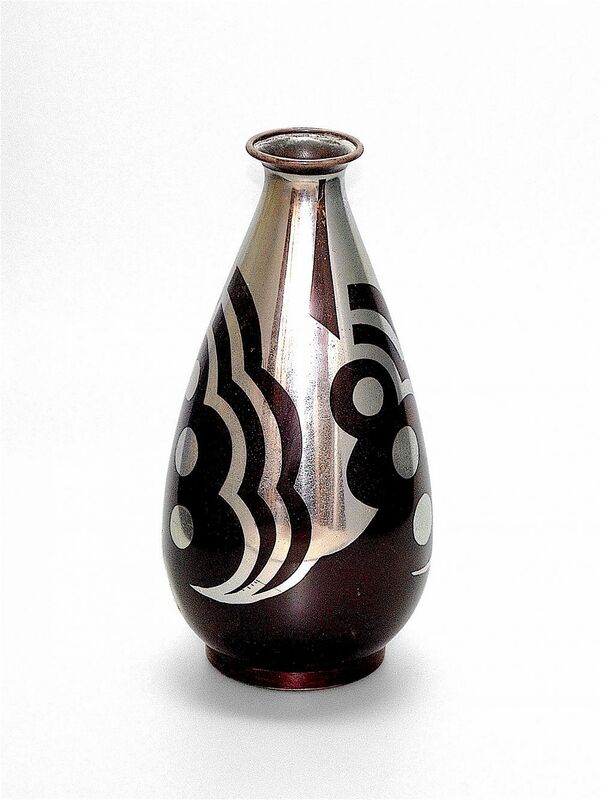 It is signed "L Gerfaux" in inlaid silver. 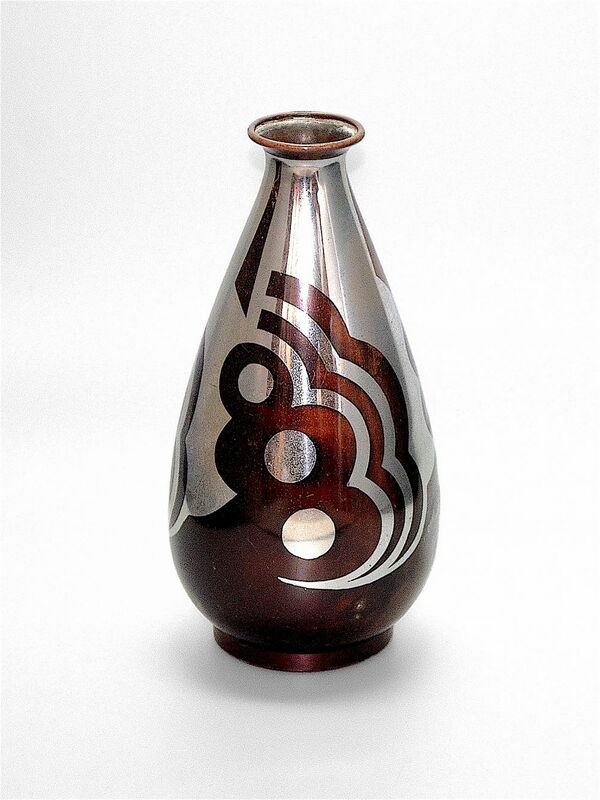 The term dinanderie comes from the Flemish town Dinant where objects usually in bronze rather than brass were made from the Middle Ages onwards.